Digital art has been on the rise and is a leading choice for several thriving artists to create amazing works of art. They say it’s the artist and not really the tools but there is no denying that great tools help tremendously when learning and creating. To maximize your abilities, you’ll want to get a drawing tablet for yourself. With the emergence of new brands and tools and the overwhelming hype that surrounds them, it can be difficult to choose what works best for you. To make things easier, we’ve reviewed some of the best drawing tablets and compiled this list. This list is made up of both regular drawing tablets and those with a built-in screen. We have done our best to put together all the necessary information within these reviews, including the pros and cons for all the tablets, giving you plenty of detailed information, in order to make a well-informed decision. Wacom is a renowned name when it comes to graphics tablets, and naturally, you’re going to see several tablets from them on this list. The brand has been a leading industry name for over a decade and has designed both types of tablets – with and without built-in display screens. The Intuos series comes with a number of different models and luckily, most of them come under the entry-level segment. 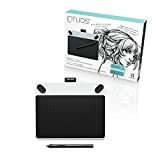 Intuos Draw CTL490DW is one of the most popular and beginner friendly drawing tablets and is the preferred choice of thousands of people. It is compatible with both Mac and Windows PCs and connects in a snap. Built quality is very sturdy and will last longer. 4 Hotkeys on the top that are fully customizable. Two hotkeys on the pen that are fully customizable. Both the tablet and pen are battery free. Pressure sensitive pen that helps you draw thinner and thicker lines easily. Connects to Mac and Windows desktop/laptop via USB cable or wirelessly (optional). This tablet is a great choice for beginners looking for a drawing tablet that is functional yet one that doesn’t require a hefty investment. 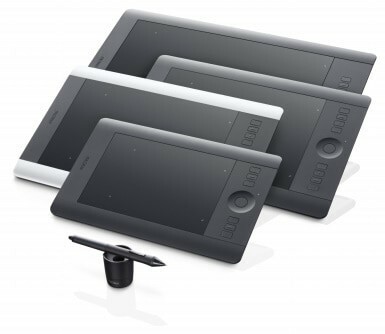 Intuos Draw comes packed with Artrage Lite, an easy to operate, drawing software that comes with a vast number of online tutorials covering a range of topics. It also supports some of the most popular software systems including Adobe Photoshop, Illustrator, Coral Draw and several others that are used widely in the market for professional art and graphic design. The pressure-sensitive pen, or stylus, that comes with the tablet gives you a plethora of options with the help of 2048 sensitivity levels. By merely adjusting the pressure of the pen, you can create variations in the line width, opacity, and several other creative options needed for effective art designing. The drawing pad feels great to use. The response rate between the drawing pad and the screen is fast and feels natural. The setup overall is quite simple. All you have to do is plug in the tablet via USB to your PC or Laptop, install the driver, register the product, download the art-rage software and you are ready to go. All the cables including the USB connectivity cable are included in the package making it a quick and easy install. Under the back panel, you will find, you have the option to insert an external battery into the tablet which will allow you to connect it to your laptop wirelessly (with a charged battery). So, for anyone wondering if this tablet can be used wirelessly, then yes, it definitely can. In terms of build, this drawing tablet weighs in at just 12.2 ounces and comes in two color options: Blue and white. Both color options are great but we’d personally recommend the blue one. Perfect for beginners who are just starting. Compatible with both Mac and Windows. Excellent responsive surface and cheap price. Option to use it wirelessly with your laptop/desktop. Overall, the look and feel of this tablet is fantastic and with easy to access and operate buttons placed carefully. The pen tool can be adjusted for sensitivity giving you complete control over your work. Considering the price tag it comes with, you definitely get a bang for your buck. We would strongly recommend this tablet to all beginners out there. The Huion Kamvas Gt – 191 is a great budget friendly drawing tablet that manages to come packed with most high-end features of an expensive tablet. This tablet comes with a built-in display measuring in at 19.5 inches IPS LCD with Full HD 1080p Resolution. Right out of the box, you get a Tablet, a stand, two pens, extra nibs, cables, and a screwdriver to help attach the stand properly. 233 PPS report rate and 5081 LIP for faster response. Comes with a pen stand with 8 spare nibs inside. 19 inch IPS Display with FHD 1080P resolution. The stand can be adjusted between 20-80 degrees. Comes with two digital rechargeable pen PE330. Great Build quality and smooth drawing surface. The Kamvas GT comes with 8192 pressure levels making it stand out from most other tablets that usually come with 2048 pressure levels. You can notice these extra pressure levels almost immediately when you start using the device. In the package, you get a tablet stand that can be easily attached to the tablet. The stand is sturdy and feels durable. A great standout in the box is the inclusion of a screwdriver to help you install the stand which we think is pretty cool. The 19-inch FHD display is vibrant and the colors pop very well. The screen comes protected with an anti-glare guard which is removable. We personally felt that the colors looked better after removing the anti-glare screen guard, albeit just slightly. You get two digital pens along with the tablet that can be charged via the USB cable that comes in the box. Along with the pen, you get a pen stand which can be used to store the pen both horizontally, and vertically. The stand also comes with 8 nibs inside. A common issue with most drawing tablets – budget ones especially is the response/report rate. This, however, is not a concern with the Kamvas GT which comes with a response rate of 25ms which is pretty fast. For someone who just wants to move from a graphics tablet to a digital graphics tablet, then this is a great upgrade. The experience for drawing directly on to the screen is pretty awesome. The pen pressure, sensitivity, and response rate all work amazingly well to provide a solid and well-rounded experience. The one drawback that might bother some users is the absence of hot/express keys on the side of the display. Considering that most Huion tablets come with these hotkeys, their absence on this tablet is a bit strange. However, if you tend to use your tablet in front of your keyboard, you won’t be missing out since all the shortcuts are present on the keyboard as well. 19.5-inch IPD display with FHD 1080P resolution. Comes with two pens and a pen holder/stand. One of the fastest response rate of 25ms. A robust tablet stand that can be adjusted between 20-80 degrees. As mentioned earlier, this is one of the most affordable drawing tablets with practically no major flaws. The pressure sensitivity points are accurate, the response rate is fast and the display clarity is as good as you will ever get. This would be an ideal display drawing tablet for both beginners and professionals. When it comes to drawing tablets, Huion is a pretty big name. The company has launched several great options for drawing tablets. Ranging in size from 10-inch tablets to 13-inch ones, Huion pretty much as it all. The Huion Giano WH1409 is the latest addition to the brand and comes with a rather large work surface area, measuring 13.8-by-8.6 inches. The design of the tablet is pretty neat and functional. Everything, including the buttons and the drawing surface feels very well placed and provides enough even spacing to ensure easy and functional operation of the tablet. 13.8 x 8.6 inches of large surface area. 12 hotkeys that are fully customizable for any tasks. Wireless connectivity range can go up to 40feet. 2000 mAh Li-ion battery that lasts up to 40 hours on a single charge. 2048 pressure level-sensitive rechargeable pen. Compatible with Mac 10.8.0 or above and Windows 7 or above. Unlike the Wacom Intuos drawing tablet as mentioned above, there is no dealing with the hassle of an external battery on this tablet. Instead, you get complete inbuilt wireless connectivity, with an impressive range of up to 40 feet allowing you to have a flexible design experience and freeing you from any spatial limitations. The wireless adapter can be found at the back of the tablet under a small panel. The tablet also has a wired mode which can be used by connecting the tablet to Laptop/computer via USB cable. The tablet comes with 12 shortcut keys to perform certain quick actions [can be used by both right and left-handed users]. All of the keys are fully customizable and can be assigned or programmed based on the preferences of the artist. You can also create a combination of two keys if needed. On the top left-hand corner, you can find the power on/off switch and below that, 4 LED indicator lights: Express keys/pen, wireless mode, wired mode, and Low battery. The drawing pen needs to be charged, comes with 2048 sensitivity pressure levels, and allows you to design freely on the surface with a resolution of 5080LPI and practical response rate of 230RPS. The power source for the Huion Giano WH1409 is a powerful 2000 mAh battery that takes approximately 4-6 hours to charge and lasts up to 40 hours (tested on a continuous run in wireless mode), freeing you from the hassle of constant charging or lugging around the charger. The tablet is equally compatible with both Windows and Mac [Windows 10, Windows 8, Windows 7, Windows XP, and Mac 10.8.0 or above] and works very well with major designing software including Photoshop, illustrator, and several others. Both Wacom and Huion stand neck to neck in terms of competition but each has a certain edge over the other. If features like wireless functionality don’t interest you then you’d go for the Wacom Intuos CTL490DW. The Giano WH1409, however, comes with better pen sensitivity and so it ultimately comes down to what your needs are and how much you’re willing to spend on a drawing tablet. 12 hotkeys that can be customized as per needs. Wireless connectivity with an excellent range. Powerful battery with up to 40 hours of range on a single charge. The pen tool does not come with a built in eraser. Surface size might be too big for some users. Great features like wireless technology and 230RPS set this tablet apart, making it stand out from the crowd. Combine that with the long and powerful battery – which is must have for most artists – and the large drawing surface and you’ve got a pretty powerful drawing tablet in your hands. As mentioned earlier, you are going to see a few Wacom tablets on this list and this next one is a great example of why Wacom is such a leader in the industry. The CTH690AK is available to buy in two different sizes: Small and Medium, and two different colors: Black and Blue. This tablet is basically the smaller version of Intuos Draw CTL490DW with slight downgrades in terms of functions and size. 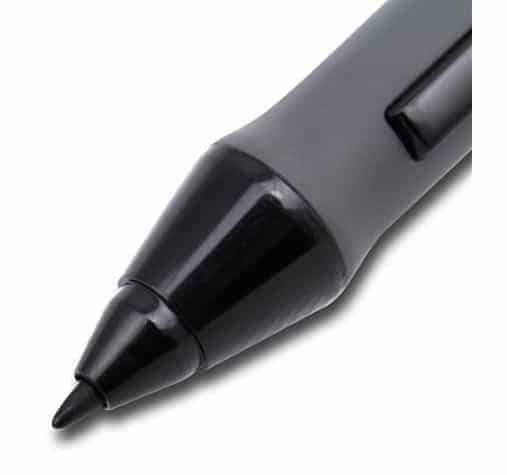 Battery-free-pressure sensitive pen used to draw thicker or thinner lines depending on how hard it is pushed. Multi-touch gestures to scroll, navigate and zoom on the artwork, right away with your fingertips. Comes with a free 8×10 metal photo print. Four Customizable express keys above the drawing surface. Connects to PC and Mac via USB cable. Also comes with the option to make it wireless (Wireless adapter needs to be bought separately). You can enable the wireless connection functionality via the wireless kit that is sold separately and works fine with any software program. Intuos Art overall is a very powerful and creative tool for designers. The Intuos pen that comes in the box is highly sensitive and comes with 2048 distinct pressure levels. It perfectly measures the pressure and maintains the desired thickness or thinness, giving the overall design experience a very natural feel and movement. Also in the box, you get 3 Extra nibs, a nib holder, and a nib remover tool. 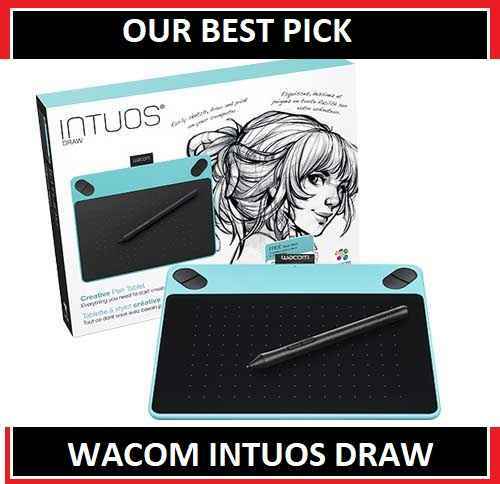 The Wacom Intuos Art tablet works with most major design software programs including Adobe Photoshop, Adobe Illustrator, etc. Functions such as the sensitive responsive pen or express keys aren’t new but the option to use gestures is pretty remarkable and guaranteed user favorite. The gestures make zooming and scrolling as easy as to do as it is on your smartphone. The build quality of the tablet is also really good. The body is slim and very compact in nature. The express keys on top are well placed and are easy to navigate and use. The tablet comes with 3 extra refills in the package which can be found under the back panel. The back panel also houses the battery slot allowing the tablet to be used wirelessly. The one slight negative about this tablet is the pen that comes along with it. While the size, customizable buttons, sensitivity, etc., are great, it, however, does not come with an eraser. If this is your first time buying a tablet, you aren’t going to miss it but for someone already accustomed to using a pen tool with an eraser, this can be quite a major issue. The slim body makes it very compact in nature. Very smooth surface and overall lightweight. Comes with Express keys and multi-touch gestures. The pen doesn’t come with an eraser. The tablet is overall very sturdy and weighs approximately 12.8 ounces. While testing it out, we didn’t notice any major issues or flaws and everything worked pretty smoothly. The option to turn the device wireless through the purchase of a wireless kit is great for artists who might want it. Overall, this is a pretty great option for most users. The H610 Pro is cheaper when compared to the previously mentioned model and does not support wireless connectivity unlike the Huion Giano WH1409. The H610 Pro is considered a budget tablet and is priced at an entry-level price tag, making it super affordable. Considering the low price tag, the tablet does everything one would expect from an entry-level device. The build quality, as is to be expected, is not very premium and feels a little cheap. But again, for the amount of money that you spend, you can’t really expect much else. 10×6.25 inches of drawing surface. 8 express keys on top, which can be customized as per your preference. 2048 levels of pressure sensitivity to be more creative with thick and thin lines. Compatible with all software like Photoshop, Illustrator and Coral Draw. Comes with a rechargeable pen P80. The pen comes with two fully customizable buttons. This is probably the best option you can get at this price point. The tablet is perfect for beginners and works ultra-smooth. The surface is pretty big when compared to what you usually get at this price with other drawing tablets. The pen is pretty basic and features most regular functions found on other pen tools. The express keys and the hotkeys are gold, with the option of assigning different features to them to suit your preference, making designing and creating a much faster and easier process. The pen comes with an inbuilt battery which needs to be charged. Keep this in mind when unboxing since the pen may come completely uncharged. Plug it in to start creating magic! Similar to the other tablets, it is very compatible with all PCs including most common versions of Windows and Mac. The installation process may take up to 30 minutes, so don’t fret as this waiting time is completely normal. You might face slight issues with the CD that comes with it or with the installation of the drivers. We faced driver issues with almost every tablet that we reviewed. The best and easiest fix is to download the latest drivers directly from the website! Let’s move on to some of the negatives of this tablet, the first being the lack of an eraser on the pen, which is pretty useful and something a lot of tablets. The build quality isn’t the best with the body being made out of plastic. But again, if we look at the price point, we these choices are pretty justified. Apart from that, all other aspects of this tablet work pretty smoothly and have a great response rate, making it a great budget option drawing tablet. A large and smooth drawing surface. 8 express keys and 16 hotkeys. 2048 levels of pressure sensitivity. Pen does not come with an eraser. Great specifications at a brilliant price point. 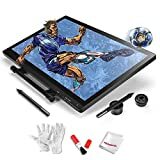 Though you miss out on the wireless connectivity feature and have to work with a chargeable pen, the overall functionalities of this device make it a great entry level drawing tablet. Plus you also get hotkeys, which in our opinion, are the best part of this tablet since they make usage pretty easy! This one brings an end to the series of best drawing tablets (without a screen). This is the third tablet from Huion in this series and comes with some pretty amazing features. The Q11K is quite similar to the WH1409 in terms of specifications but is slightly cheaper making it a great bargain. It has a large drawing surface that comes with 8192 pressure sensitivity level, which is absolutely amazing. 8192 pen pressure levels – highest among all the beginner’s drawing tablets reviewed so far. Large 11 inches of the drawing area. Wireless connectivity for a cable-free designing experience. 2500 mAh battery with up to 40 hours of backup on wireless mode. In terms of other features, apart from the surface size express keys, the Q11K outshines the WH1409 in most aspects. It comes with 8192 pressure levels, which is almost 4 times as many when compared to any of the other tablets. 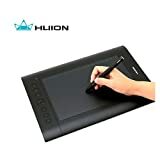 This is a very big revolutionary upgrade from Huion, providing ultimate accuracy in design, excellent performance, and precise strikes right where you intend to make them. The 11-inch work surface is super smooth to work on and is made up of high-end, quality materials, ultimately offering you a pretty smooth drawing space for better artwork. The pen that comes with the tablet is pretty decent. You get two standard buttons that can be programmed to perform certain functions based on your preference. Along with the pen, you also get a pen holder that can store nibs. You will also find a Wi-Fi connector beneath it. The tablet supports wireless performance and works on 2.4 GHz wireless technology. 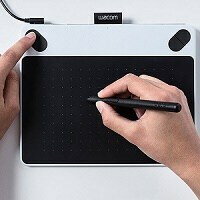 There isn’t a lot of information regarding the connectivity range but if previous tablets from Huion are to go by, we can expect a range of 40 feet. The tablet can also be used in a wired mode with via the USB cable that comes along with it. The drawing tablet sports a complete, ergonomic design with round corners, a smooth surface and curvy edges which aims to provide extreme comfort to users. And last but not least, the tablet comes with a powerful 2500 mAh battery, which aims to provide a range of up to 40 hours while continuously running in wireless mode, giving you no reason to worry about battery drainage. Eight fully customizable and well build express keys. Wireless connectivity with a battery life of up to 40 hours. Shortcut Keys don’t light up and are hard to find. Does not come with an eraser. The Q11K proved stiff competition to the WH1409 and had it not been for the larger surface size and the extra express keys on the latter, then we would easily recommend the Inspiroy Q11K, owing to its overall better design, 4x pressure levels, and the cheaper price tag. The Artisul D10 is the cheapest drawing tablet on our list. This low cost is reflected in its overall size, which is smaller when compared to the rest of the tablets. 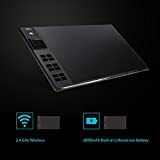 This tablet is perfect for anyone who wants to upgrade from a surface drawing tablet to one with an LCD and wants to take their designing skills to the next level, all without spending too much. The D10 comes with a 10.1″ IPS LCD screen that is not Full HD, but, is pretty great to look at, and exceptionally responsive to work with. 6 Hotkeys that are fully customizable. 8.5 x 5.3 inches of the working surface. Comes with a battery-free “U-Pen”. Slim and light weight make it an easy companion. It comes with a U-pen, professional and realistic gestures with 2048 levels of pressure sensitivity which is at par with what we see on other regular tablets without a display. The pen is made using premium quality materials and unlike other pens mentioned on this list earlier on, the U-Pen looks and feels better. Along with the pen, you also get 10 extra nibs, although, you don’t get a pen stand with it. The D10 is a very thin and light, making it very portable and easy to carry. It can be easily powered via USB cable connected to a laptop with no external AC power. The drawing tablet basically uses two cables, an HDMI cable, and a USB cable. It also comes with 6 shortcut keys which are customizable as per user preference. All sorts of praise fall short when it comes to this tablet. When compared to bigger brand names like Wacom and Huion, Artisul may not seem all that powerful, but considering what you get at the price point on this tablet, the D10 outshines in every regard. The response rate on the tablet is 30 MS which should create a smooth user experience with zero issues when drawing on it. The display is not the best and the brightness could have gone up higher, although this is just nit-picking and it works fine overall. Solid, lightweight and sturdy build quality. Easy to navigate and fully customizable hotkeys. HD (1280 x 800) resolution screen. The pressure sensitivity of 2048 levels. Comes with a battery-free pen. No pen stand comes in the package. Small LCD display, but at the price, it is to be expected. 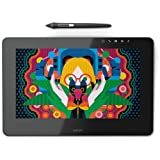 If you are not really a professional or are just a beginner who wants to get their hands on a graphics tablet with a display, then this would be the best choice. Though it leans on the smaller side in terms of size, considering the price point, it is an absolute steal. If asked what we would invest in if we had a certain amount of money to spend, then we’d choose the Cintiq Pro. Though slightly pricey for an average buyer, professionals would consider this absolute gold. The Cintiq Pro comes with 13 inches of a full HD 1080p display which produces brilliant color and pictures, with exceptional clarity. Packed with a wide color gamut, you get what you see. The all-new Cintiq pro comes in two different options: a 13-inch model as mentioned above, and a 16-inch model. The 13-inch model comes with a 1080P FHD resolution, while the 16-inch model offers you a 4K resolution. 1080p Full HD resolution for amazing clarity. Single USB C type connection to a USB port. Comes with Wacom pro Pen 2. Advanced Pen performance with 4X accuracy as compared to normal tablets. Comes with customizable express keys and multi-touch gestures. The tablet supports multi-touch gestures, allowing you to zoom in and navigate with a swipe of your fingers. Alternatively, you can also improve your workflow via the programmable on-screen radial keys. The tablet also comes with optional express key remote which makes it very handy to draw. You can draw with one hand and control the express remote keys through the other. When it comes to the connectivity bit, the Cintiq pro comes with multiple options to connect to both PC and Mac. You can either use the USB type C to create a connection or alternatively use the Wacom link and Cables to connect via standard USB and a mini-display port. In our opinion, the USB C type option is easier as it involves fewer cables. The Wacom Cintiq pro comes with the Pro Pen 2, which is said to be the smartest pen from Wacom to date, providing not just a good grip to hold but also gives a real feeling of designing on paper, helping you design more accurate strokes and quite evenly. The Wacom claims that the Pro Pen 2 has 4x accuracy as compared to the Pro Pen. If you have used the Pro Pen in the past, then you will definitely notice a difference. In terms of the overall build quality and look of the tablet, it comes with a beautiful new design with an etched glass screen and an attached stand making it more convenient for designers to work. It performs great with any 2D and 3D software to give you a real and authentic feel to design and control your work as you would like. The tablet does have a few minor issues with the drivers. The cables that come with the tablet feel a little weak and the stand is not very sturdy. As long as you do not apply too much pressure, however, it should work just fine. Full HD 1080P super bright screen. Multi-touch gestures for easy zoom and other functions. Advance Pro Pen 2 pen with 4x pressure levels. Very responsive and paper-like surface. Too many cables involved (if not using USB C). The tablet, overall, is pretty great and comes with loads of features and a beautiful design. The FHD display is one of the greatest displays we’ve come across in drawing tablets. The Pro Pen 2 is an absolute charm to use and makes drawing very easy. Though on the pricier side, it is a great choice for most professionals. 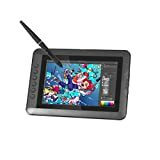 XP-Pen is a well-known brand when it comes to digital drawing tablets and this tablet is another great a bargain from the brand. The Artist 22 comes with a well-designed, 22 inch Full HD IPS display with 1920x1080p resolution, 9 point display calibration, and an extra wide angle. Although similar to the Wacom Cintiq Pro, this one does not come with 4x pressure levels, and instead comes with the standard 2048 pressure levels, that work well to help you design natural looking, even designs. Unlike other tablets, this one comes with 2 rechargeable pens in the package. 16 Fully customizable express keys designed for both left and right-handed users. 22 inches of FHD IPS Display with great color reproduction. 72% Color gamut and an extra-wide 178-degree angle. Supports and runs on Mac OS 10.8.x or higher and Windows 7 higher. Comes with a very sturdy stand that is highly adjustable. Artist 22 Pro drivers now support 4K displays. You do get an ergonomic stand with the drawing tablet making it a stable surface to work on. It also gives you a better grip and prevents the tablet from unnecessary shaking. The display is well protected via the tough glass produced in a dust-free workshop, which is scratchproof and shockproof. The pixel quality is great – with no dead pixels, the colors are deep and the response time is good as well. 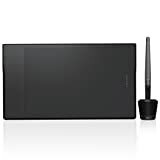 The drawing tablet comes with support for most design software including Adobe Photoshop, Illustrator, and 3DMax etc. It is compatible with versions of Windows 7 and above, and the Mac OS, versions 10.7 and above. The tablet comes with the standard 2048 pressure points which perform very well. The pen is a rechargeable pen which lasts for more than 50 hours on a single charge. If you have your eyes on the Cintiq pro but have not yet taken the plunge, we’d suggest giving this tablet a closer look. Consider what you really want from your purchase and then decide. It may just be that the Artist 22 might have everything you need, and you’ll end up saving yourself a pretty penny. Most users get caught up in the brand name hype and reject newer brands that may have a better cost value, all while offering similar benefits. Unless you actually need the extra 4x pressure levels or the big brand name, the XP-Pen Artist22 should work just fine. One small drawback the overall build quality. The tablet does have a slightly cheap feel to it with its plastic build. The pen and accompanying cables feel a little dated as well. This, however, is redeemed by the design of the tablet, which looks pretty high end. True and vibrant color reproduction. Extremely responsive and great pressure levels. Comes with perfect calibration out of the box. Low price tag when compared to other brands. Plastic build that feels cheap (but looks good). As mentioned, this tablet is a bargain at the price it comes at. It is a fantastic drawing tablet and comes with a great look and great sensitivity levels. If you really like the Wacom Cintiq Pro but find it quite expensive, then the XP-Pen Artist22 is a great alternative. The last two drawing tablets on our list are from Ugee. Ugee is a pretty established brand, well loved by designers, with expertise in creating great drawing tablets. The UG-2150 is a 21.5-inch dual monitor drawing tablet that comes with an IPS screen with a Full HD 1080p resolution. The tablet is priced similar to the Artist22 and is a direct competitor to it. A solid adjustable stand that keeps it free from shaking and sliding. Comes with 9 points of display calibration and a 178-degree viewing angle, which is the largest. Accompanied by two rechargeable pens powered by built-in lithium batteries. Also has a multi-angle adjustable stand, which helps to adjust at different viewing angles. Works with all devices running on both Mac and Windows OS. Extra accessories include a screen protector, pen nibs, and USB cables. This is one of the best graphics tablets with a monitor that we’ve tested in a while from Ugee. If you’re on the lookout for a small, compact tablet, then this is probably not for you. But if you’re looking to upgrade to a bigger screen tablet, then this is an excellent choice. The installation of the tablet is super easy and the operations are easy to use as well. The display is super bright and clear and brings out the true color of your work. With 2048 pressure levels, it becomes very easy to create thick and thin variations in lines and drawings. The Full HD screen produces very bright colors and is a treat to work with. The artwork looks amazing on it. The pen that comes with the tablet is a rechargeable pen, capable of holding onto a charge for quite a long time and you shouldn’t face any issues regarding that aspect. In terms of connectivity, the tablet comes with HDMI, VGA, and DVI, making it capable of connecting to far more devices when compared to other standard tablets. Large and easy to connect and operate. Full HD 1080P true color display. Comes with 2 charging Pens. Adjustable stand for multi-angle view. Brilliant screen, excellent pressure responses, and a good price tag, these features all come together to make this one of the best drawing tablets out there. Issues are minimal with only the drivers causing slight issues, which tends to happen with most tablets. 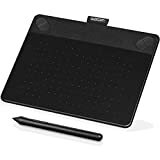 Whether you’re an aspiring artist, a professional, a beginner or parent’s to a creatively inclined child, you first need to figure out what you’re needs are and then decide on a type of drawing tablet to buy. No one wants to make a poor investment and that is just what a drawing tablet is – an investment into your future. A drawing tablet aka the graphics tablet, a digitizer, a pen tablet or a digital art board is a computer device that enables users to create hand-drawn sketches, graphics or animations with the help of a special pen tool called a stylus. Tablets that come without a display. Tablets that come with a built-in display. A regular drawing tablet is pretty much the same as a drawing tablet with a screen, the only key difference is the LCD. On a regular tablet, you have to need to keep an eye on your connecting PC/Laptop screen to ensure you are placing strokes where intended. On the digital drawing tablet, this can be easily done just by keeping a track on the LCD screen making it more “What you see is what you get” (WYSIWYG). A good graphics tablet can cost around $70-$200, and the ones that come with LCD displays are likely to go up to $1000. 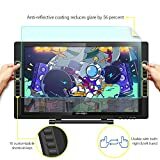 This may sound like a massive amount for a tablet, but bear in mind, these are mostly aimed a high-level professionals and design artists who benefit greatly from the extra features. Most people associate a higher price tag with superior features which will ultimately result in an amazing artwork. While this may true to a certain extent, higher priced products aren’t a must to create amazing digital art. Practice and dedication go far when it comes to creativity. You don’t want to spend a large amount of money on fancier features and tech that you may not use or need as a beginner. This is why we have created this quick guide to work you through the process – making you aware of the important aspects of a drawing tablet and how to decide which one is the best for you. Size is one of the most important factors when it comes to buying to a drawing tablet and should be on top of your priority list. Keep in mind bigger is not always better since you’ll probably be carrying your tablet around a lot if you’re someone who likes to take their work with them, wherever they go. 10 inch is one of the most common sizes for drawing tablets but even 6-8 inches works great for most users. Professional artists and illustrators are likely to opt for larger tablets but it is important to remember that with a larger drawing area comes a bigger price tag. A larger surface area also means a wider range of arm motions. These are small but important things to keep in mind. Another thing to remember is that the dimension mentioned in the box does not refer to the total dimension of the drawing tablet. This number only refers to the drawing surface and the total dimension of the device would be 4-5 inches more than the size of the drawing area. It might come as surprise to you but the tablet does tend to take up more desktop space than you think. As of now, tablets come in sizes of 6×8 and 9×12 that matches up the 4:3 aspect ratio of computer monitors. This isn’t a major concern, however, since modern tablets come equipped with screen mapping software and adjust aspect ratio accordingly. The interface is the source/way through which your tablet is connected to the computer. USB is the most popular source on which most tablets run. Wireless technology is another which is quite the buzz these days and with a few companies like Huion and Wacom including it onto even their entry level tablets. 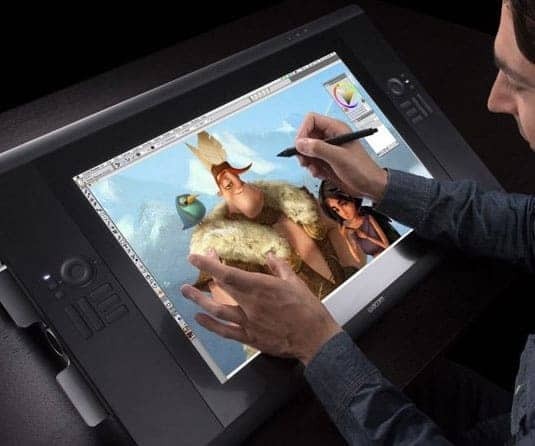 Some of the newer drawing tablets such as the Wacom Cintiq pro have added a USB-C connectivity option making them much faster. If you don’t look forward to constantly being wired to your PC, then you do get the option of a wireless adapter/kit for most tablets. The wireless kit is easily available for purchase, but before you go for it, we recommend getting confirmation from the manufacturer regarding compatibility with your tablet. The pen is equally as important as the size and the surface of the tablet is. The pen tool needs to be smooth, lightweight and compact, or it is going to be a burden to use. Rechargeable pens are pens that come with a battery and a USB cord to charge. Though they need to be recharged, the battery life is pretty stellar with most lasting up to two weeks so you don’t need to worry about constantly keeping the pen charged. The only downside of these pens is that the battery they come tends to add to the overall weight of the pen a little. On the other hand, we’ve got non-rechargeable pens which are a very good choice. They are lightweight, help in applying even pressure levels and not having to charge them is a definite plus point. Some, but not all pens come with an erasing end, which makes it quite easy to erase certain bits of your work design right from the pen, instead of digging around for the erase option on the software you are working on. Most tablets also come with either a tablet stand or a docking point for the pen on the tablet itself, giving you somewhere to store your pen while not in use. This helps in making sure you don’t lose your pen. If you’ve read the reviews above, then you’ve come across this term several times. What exactly is pressure sensitivity? Pressure sensitivity refers to the variations you can create in terms of thickness, thinness, transparency, color, etc., just by varying the amount of pressure exerted on the pen. It works very similar to how sketch pens are used in real life. Pressure levels start at 256 moving up to 512, 1024 and further along. A few years ago, most drawing tablets supported up to 1024 pressure levels but with the latest advancement in technology, most modern drawing tablet comes with at least 2048 pressure levels, with some of the high-end tablets going up to 8192 pressure levels, which is the absolute best you can get on any drawing tablet. As the pressure levels increase, you get more natural and responsive control and design. While most tablets come with driver CDs in the package, we’d recommend going directly to the brand website to download the latest drivers for your tablet, especially if you don’t have a build in CD drive, which most notebooks today don’t. All graphics tablets require a driver, so before you start downloading, ensure it is the right one for your tablet and that you are downloading the correct compatible one for your operating system. For example, some drivers work with Windows XP while some do not. The next thing to look at is the features offered by the drivers. Most drivers control certain important functions of a tablet. Some of those controls include tools customization, tweaking sensitivity, screen mapping, and many others. All tablets come with bundled software systems that are key aspects of drawing and functionality on the tablet. 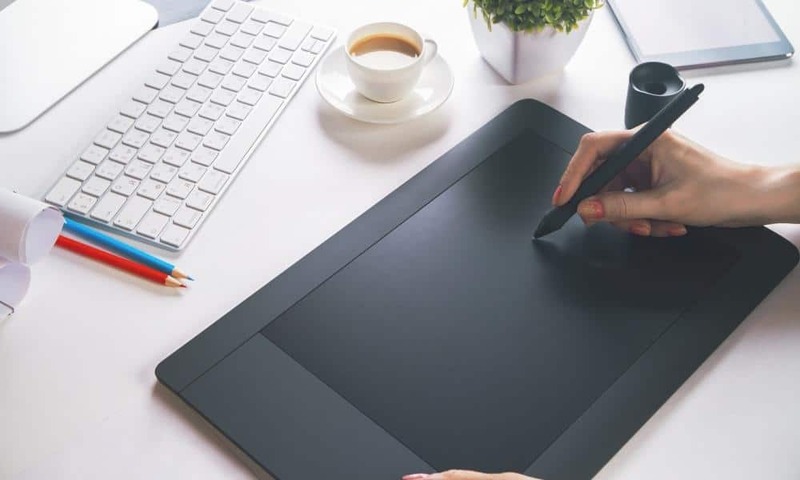 Almost all of the tablets also come with a drawing program and utility tools that support systems such as Photoshop, illustrator and other popular design software. Entry level tablets start at around $100 – $200. You can get an excellent Wacom tablet for that price, which is an ideal investment if you are just starting out. On the other end of the spectrum, you have drawing tablets that can go up to $1000. It is important to remember that you don’t always need the best or newest device to create amazing artwork with. Ask yourself if you need these extra features and specifications. 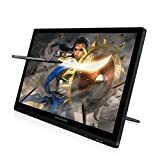 A 21 inch IPS LCD display drawing tablet is pretty fancy and will absolutely catch your eye but if it isn’t something you really need, there is no point investing such a big amount. For beginners or parents looking for a tablet for their kids, we recommend finding an option that is about 100$, while designers and professionals can choose an option that best fits their needs and requirements.